The 2015 Dakar Rally is now complete. 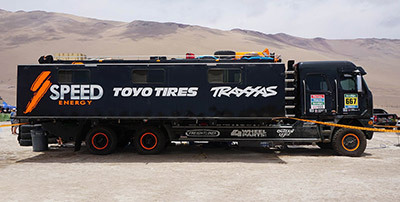 There was a lot to learn on our inaugural trip to South America with Toyo Tires. With our crews at home and on the ground, we were able to figure some of the behind the scenes workings of the largest motorsport event in the world. The Dakar, being the Olympics of Off-Road racing, has competitors from every continent. 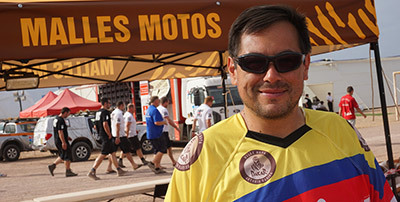 Media coverage at the Dakar Rally has global dimensions as well. 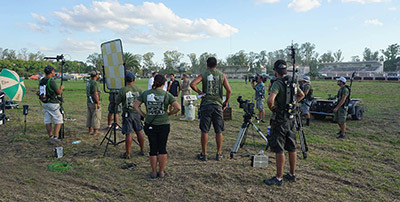 As the rally moves from location to location and so does the entire TV production. The A.S.O. produces its own daily TV program that then gets distributed to various participating countries TV networks. In the US, NBC Sports is the network that delivers daily highlights and updates from the race. There’s not much Mini about the Mini team at The Dakar. Under the x-raid umbrella, there are 9 of them and one Buggy driven by Guerlain Chicherit. These are not the Mini’s you may know from your Starbucks drive through but they are based on the Mini Countryman and resemble full size SUVs. 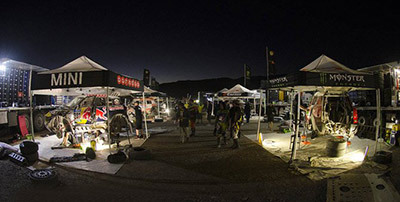 We toured the x-raid compound within the bivouac after the marathon stages, when the rest day was ahead. The mood was good and we were given full access to anything we pointed our fingers at. T5 TRUCKS – THE BACKBONE OF DAKARThe T5 trucks are the backbone to every race team here at the Dakar. You simply have to have one to be able to compete. Each truck is a fully equipped rolling shop on wheels. Amongst the T5’s you have brands like Iveco, MAN, Hino, Scania, Mercedes and others from around the world. One of these T5’s stick out like a sore thumb here at the Dakar, Robby Gordon’s Freightliner. If you watch the daily Dakar coverage and think that racing 14 days in a row is tough you are right but then there is yet another level to the Dakar, those that value pure human endurance and take it to yet another level. Meet the “Malles Motos” group. Males Motos loosely translates to Manly Motorcyclists or what we like to call it riders with balls of steel. Established in 1966, Toyo Tire U.S.A. Corp. represents the innovation, quality, performance, and excellent service that Toyo Tires has delivered worldwide for nearly 70 years.